Which hidden terrible OR wonderful trips in the Derby prep races will lead to horses being overbet or underbet in the Derby? 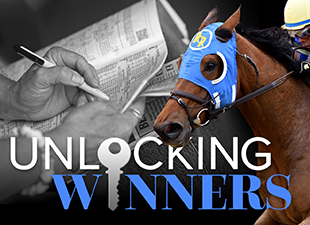 The following notes are excerpted from The TimeformUS Kentucky Derby Weekend Package. 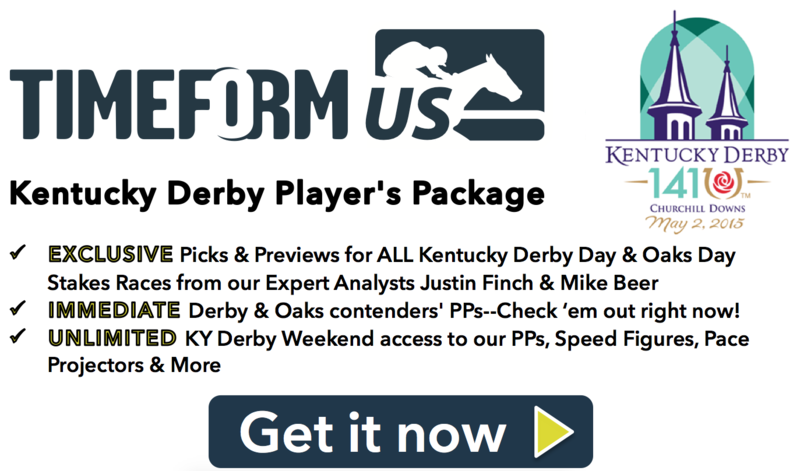 Notes from TimeformUS Analysts Mike Beer and Justin Finch for ALL Derby preps are part of the Package. 1st Carpe Diem: good trip tracking in behind lead all the way, moved 3 wide second turn to come after leaders, took race over upper stretch & pushed out to clear-cut win. 2nd Ami’s Flatter: inside trip off pace, ridden to move forward up backstretch & into position behind lead second turn, clear from top stretch to chase winner but no chance with him, 2nd best. 3rd Divining Rod: pace on rail, pressed by My Johnny Be Good (last) all the way, burned him off far turn but winner coming right up to challenge, tried gamely in stretch but no match, outfinished for 2nd. 4th Danzig Moon: outrun, ridden along backstretch & was behind horses on second turn before dropping to rail, tired stretch without threat. 1st Upstart: took three-wide trip after the pace & was chasing as Frosted took over up front, collared him in upper stretch & took the lead, with Itsaknockout challenging outside, drove clear at the end & was best but DQ'd. 3rd Frammento: saved ground getting far back outrun, last top stretch with too far to come, good late finish to get 3rd. Ocho Ocho Ocho: Landed perfect trip in behind the lead in early stages. Then went up the rail on the backstretch to contest the pace, dueling with Mr Z through the second turn and all through the stretch while on the wrong lead. Game to prevail. Mr Z: Good spot tracking the pace. Kept out in the clear, while the winner was down to his inside. Moved up three-wide coming to the far turn as the winner got through to contest it. Dueled all through the stretch without the advantage. Missed. Far Right: Outrun early and trailed all the way around into the backstretch. Started strong run up rail and was powering up behind the lead. Decided to go for it inside winner on far turn but didn't make it. Checked hard! Lost position. Raced gamely after that. Tough one.